Mitzpeh | Get to know the Jewish a cappella groups on campus! Mezumenet members (from left) Michelin Vaughn, Heather Rudick, Siri Doddi, Rebecca Elspas, Delaney Crabtree and President Jocelyn Broth take a break from practicing at the Clarice Smith Performing Arts Center on Thursday, Oct. 4, 2018. Nicole Noechel/Mitzpeh. Though there is a wide variety of a cappella groups on campus, only three cater solely to the Jewish community: Rak Shalom, Kol Sasson and Mezumenet. Rak Shalom, founded in 2005, covers everything from American and Israeli pop to traditional Jewish music, performing for audiences across the country. The group traveled to California for its 2018 tour and is planning to visit New York and Toronto in 2019, according to member Ariella Shapiro. The troupe has changed “drastically” since it began, said Shapiro. Rak Shalom is as much of a family off-stage as they are on-stage. The group also has ties to the other Jewish a cappella groups, according to Shapiro, and they often try to schedule bonding events with each other. “We do our best not to coordinate events during another group’s event,” she said. Kol Sasson, founded in the spring of 1997 and re-founded in 2002 according to the group’s Facebook page, has performed throughout the country for celebrities such as Barack Obama, George W. Bush and former Governor of Maryland Robert Ehrlich, according to their website kolsasson.com. They have recorded seven original CDs, and sell them on their website. Like Rak Shalom, Kol Sasson also gets together outside practices and performances. Spronz stated that one of the best parts of being in the group is the social aspect and getting to make so many friends. “In spending so much time together both in and outside of rehearsal, we really become a family,” she said. The troupe is also close to other groups on campus, said Spronz. Mezumenet, this university’s only all-female Jewish a cappella group, was founded in December 2008 in order to provide “a family for girls with a shared passion for singing and Jewish culture,” according to mezumenet.com. The group has performed at universities and synagogues in Maryland, New Jersey and Virginia, and competes in competitions all over the country, according to the website. 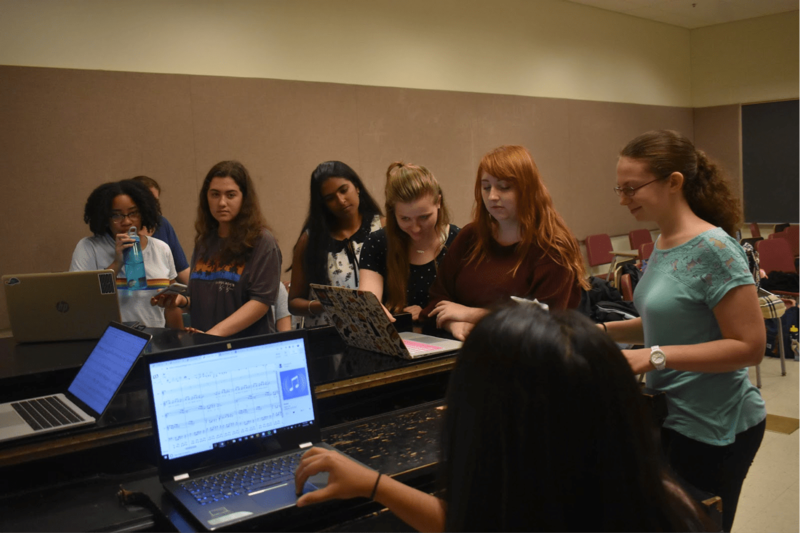 The ladies have a big concert coming up on December 8 in Stamp’s Hoff Theater to celebrate the group’s tenth anniversary, and according to Broth the group is busy preparing. Though she loves to sing, Broth stated that her favorite part of being in the group is the bond members share. The troupe also has a fond relationship with the other two Jewish a cappella groups on campus. No Replies to "Get to know the Jewish a cappella groups on campus!"